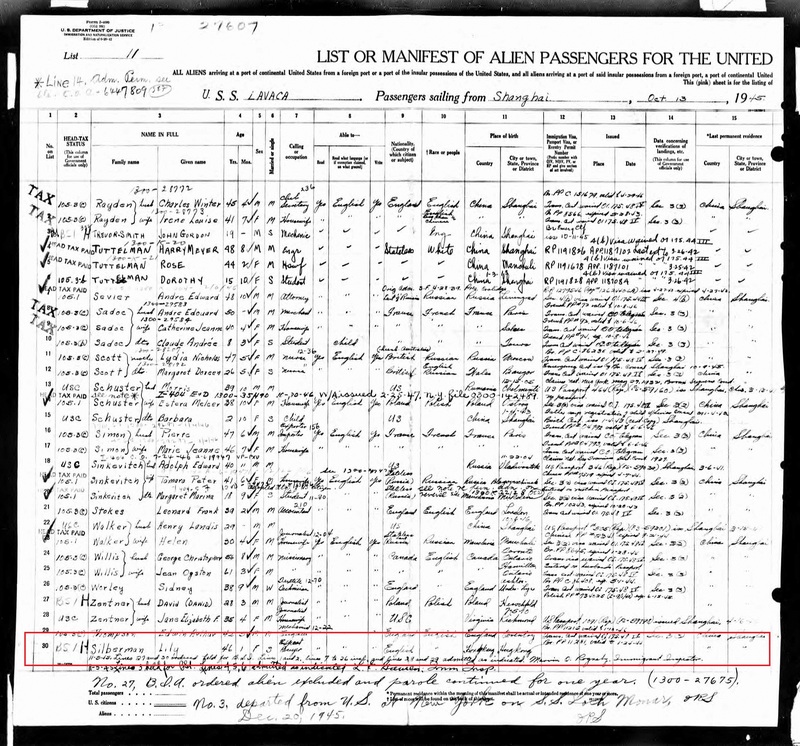 Mother’s Name Anna (Hannah) Silberman née Hirschberg? Kammerling? 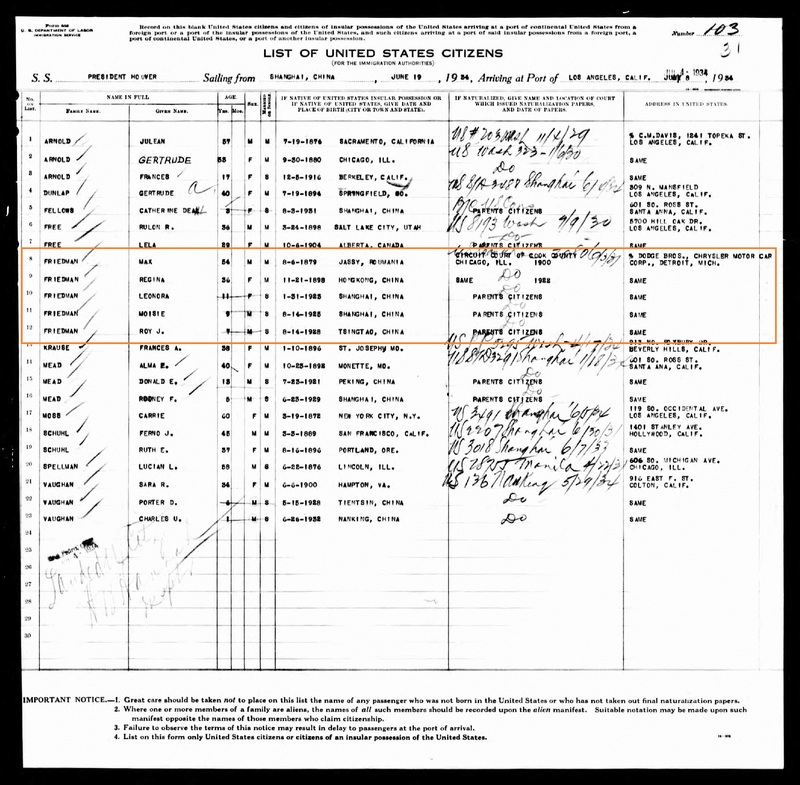 Historical Isydor Silberman(n)’s profession is listed as “Hotel Keeper, Globe Hotel” in a 1904 juror’s list. The hotel was located at 184 Queen’s Road Central. 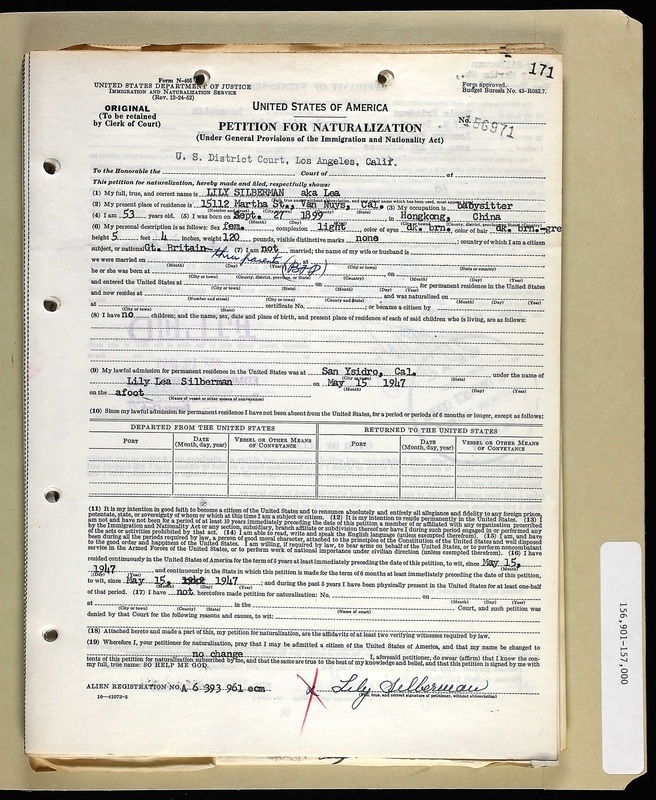 According to the Carl Smith Archives, he transferred ownership of the Globe to Adolph Weingartner of Manila in 1906. 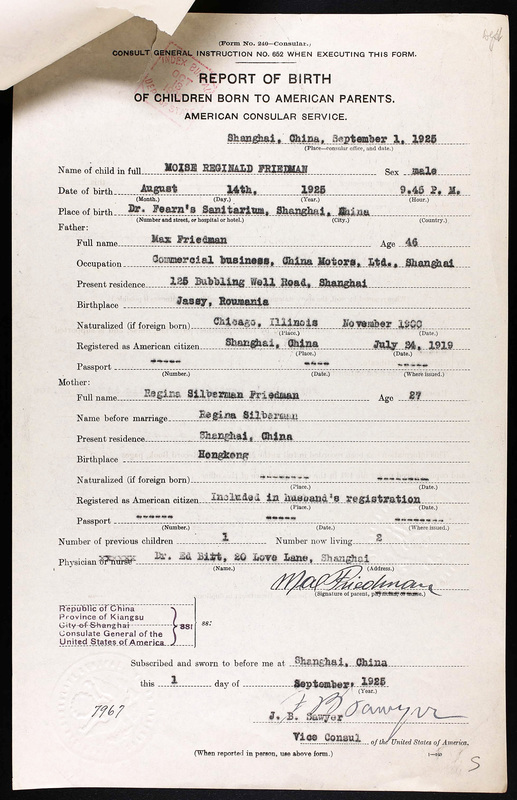 The Silbermans then moved to Shanghai where he opened a haberdashery near the Astor Hotel. He retired in 1927. Anna, born in 1873, died on February 3, 1925, in Shanghai. 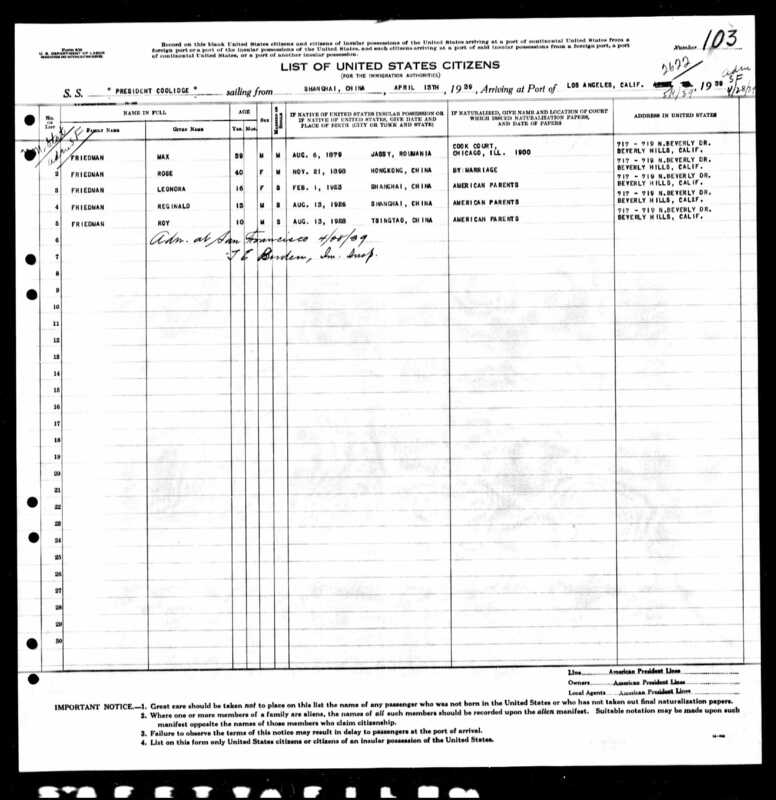 In a 1906 juror’s list, his profession is listed as “Merchant, David Sassoon & Co., Ltd.” This is in conflict with Carl Smith’s records unless he worked for David Sassoon for a very short time. 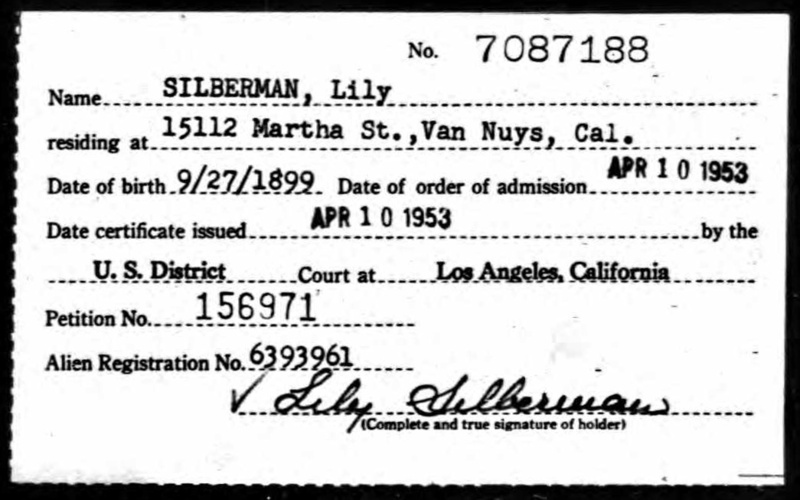 The Silbermans may have had two other daughters in addition to the unnamed one buried in 1H4: Rosie (Regina) Silberman (b. November 21, 1898, Hong Kong; d. February 20, 1994, Los Angeles) and Lily (Lea) Silberman (b. September 27, 1899, Hong Kong; d. June 24, 1978, Los Angeles). 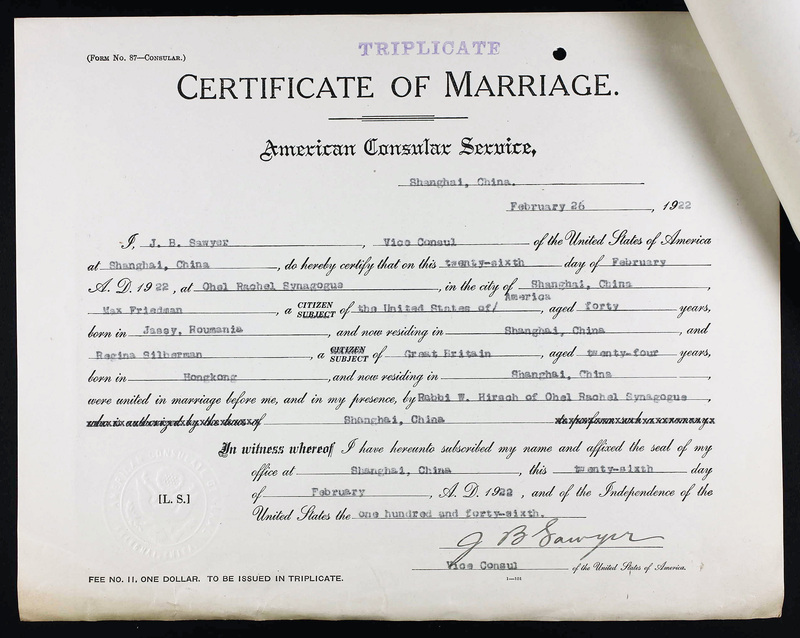 Regina married Max Friedman (formerly of Iasi, Romania) in Ohel Rachel Synagogue in Shanghai on February 26, 1922. She was 24; he was 40. They had three children together — Leonora (b. January 31, 1923, Shanghai), Moise Reginald (b. August 14, 1925, Shanghai; d. August 4, 2001, Laguna Hills, CA) and Roy Joseph (b. August 14, 1928, Tsingtao; d. June 23, 2015, Los Angeles). Max worked for China Motors in Shanghai. 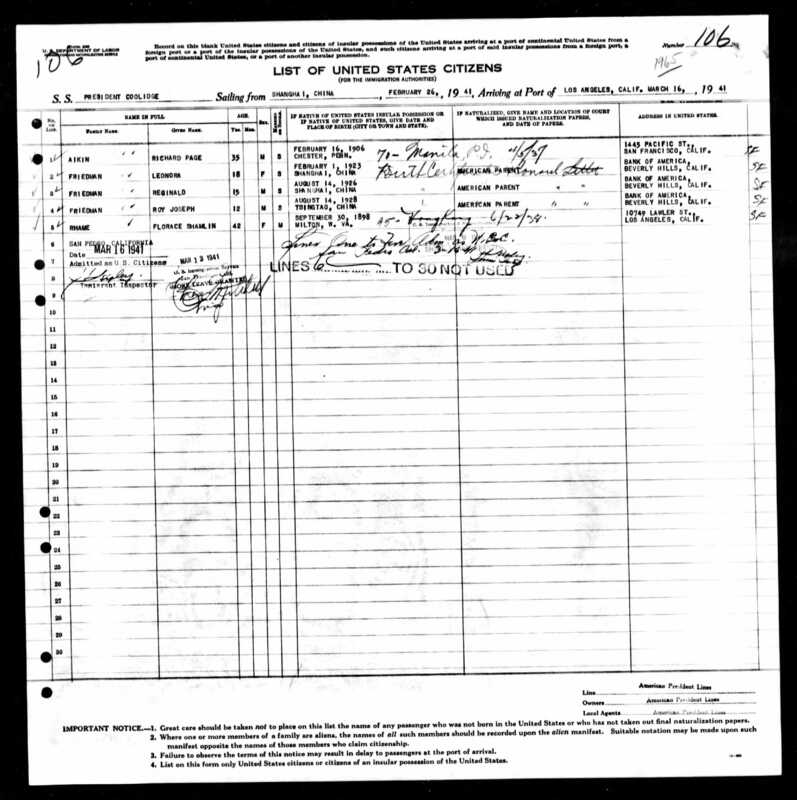 In 1939, they all went to Beverly Hills and in 1941, the parents sent the children there without them. At some point, Reginald changed his surname to Kent. Roy is buried (cremated) in Hillside Memorial Park. It appears he was married. 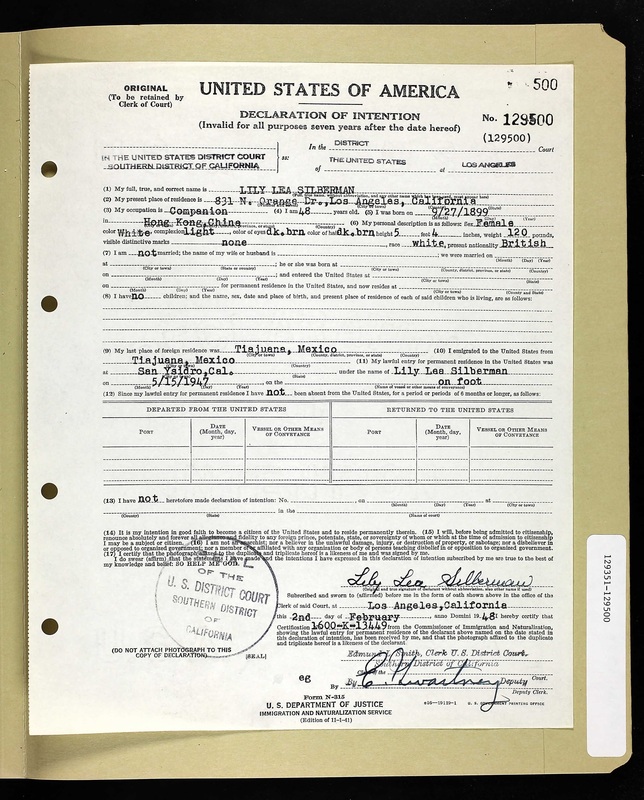 Lily was an export buyer in Shanghai up to 1945. She then moved to California. 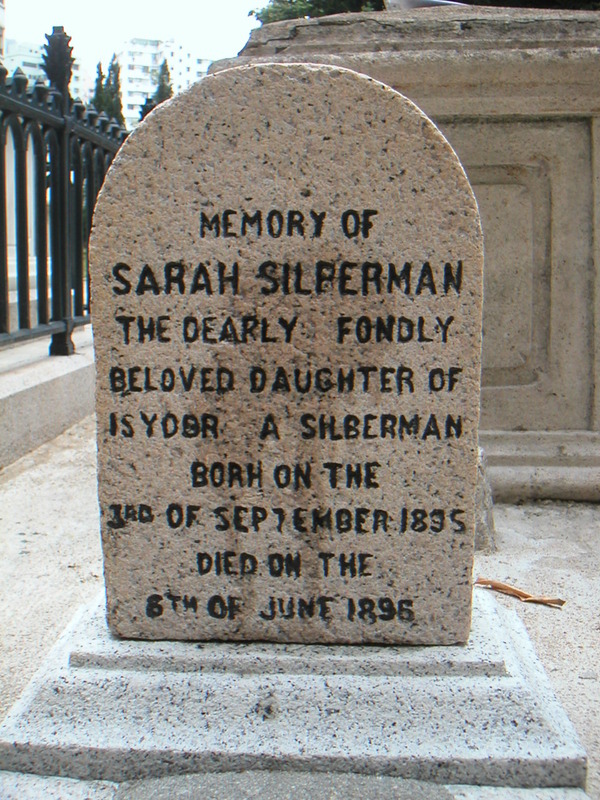 She never married and is buried in Forest Lawn Memorial Park (Glendale, CA). 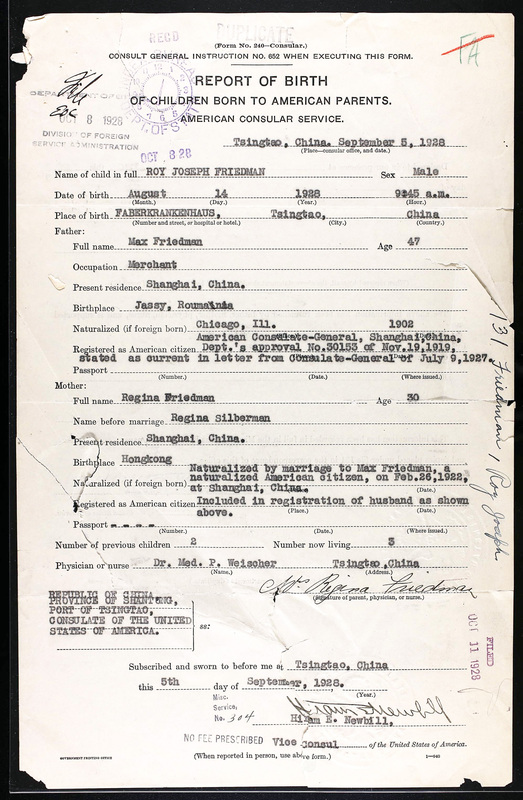 As both Regina and Lily were living in Shanghai, perhaps the family moved there after 1906 and the parents died there.